Oh no! Did my phone have a terrible accident and got all busted up as if a bunch of 11 year-olds high on sugar got a hold of it? No. I dont't know what happend and it's not my phone. I found it right in front of my building when I went out shopping this morning. 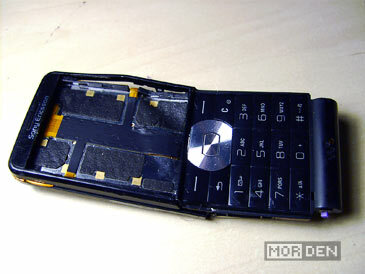 Man, this phone sure took a beating. Being a smart dude I had to investigate and check if there's anything left to salvage. It turned out that the memory card is in one piece and is still fully functional. 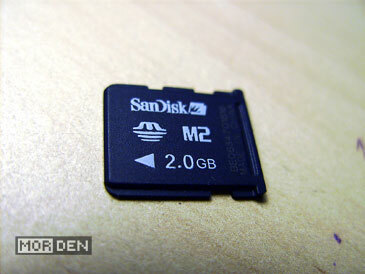 Someone unleashed a whole world of anger on his Sony Ericsson W350i and left it out in the rain, and that's how I got my two gigabyte Memory Stick M2 micro. 2009.01.24 Sat Random and ♥Hate♥ Comment Tweet This!